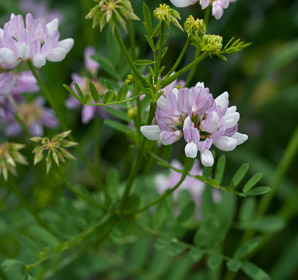 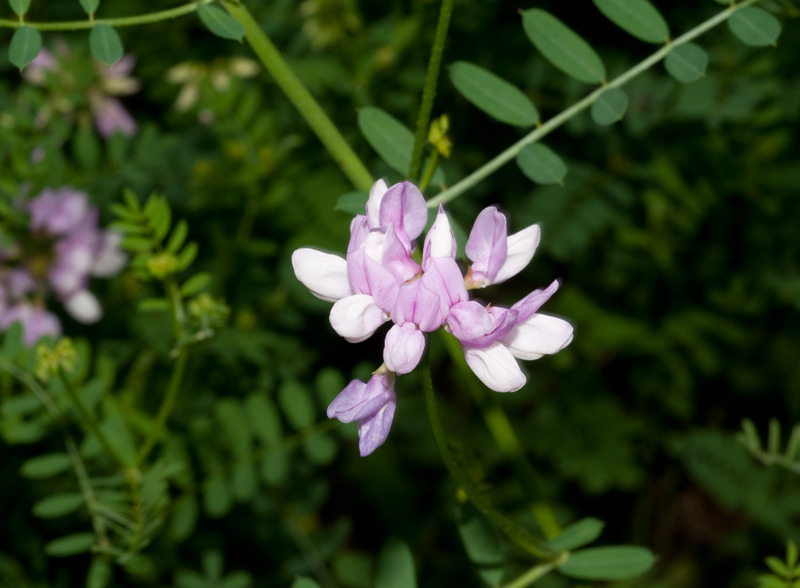 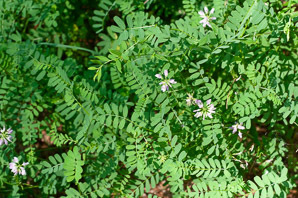 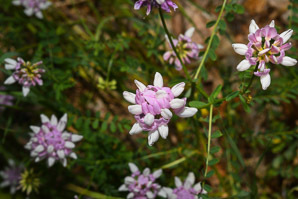 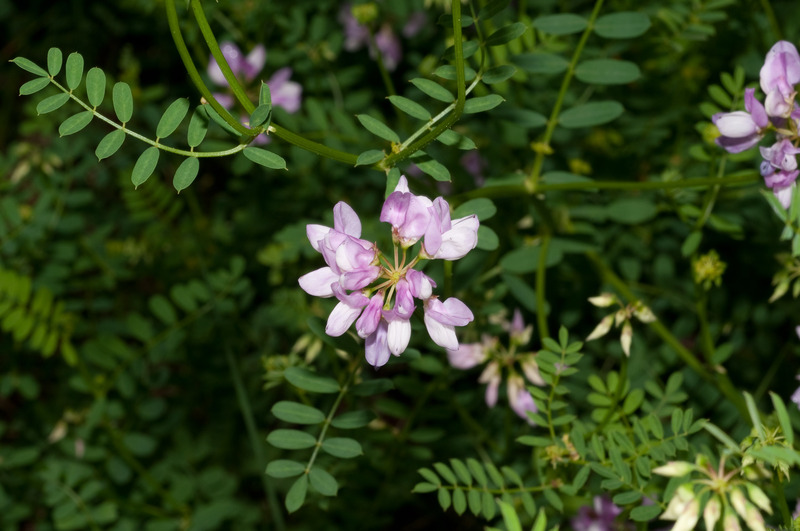 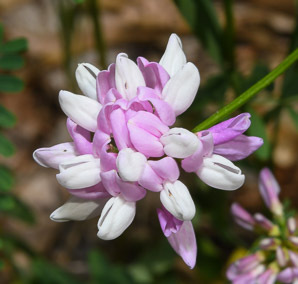 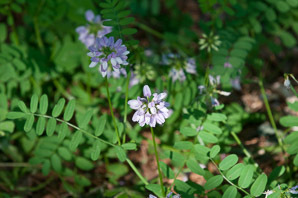 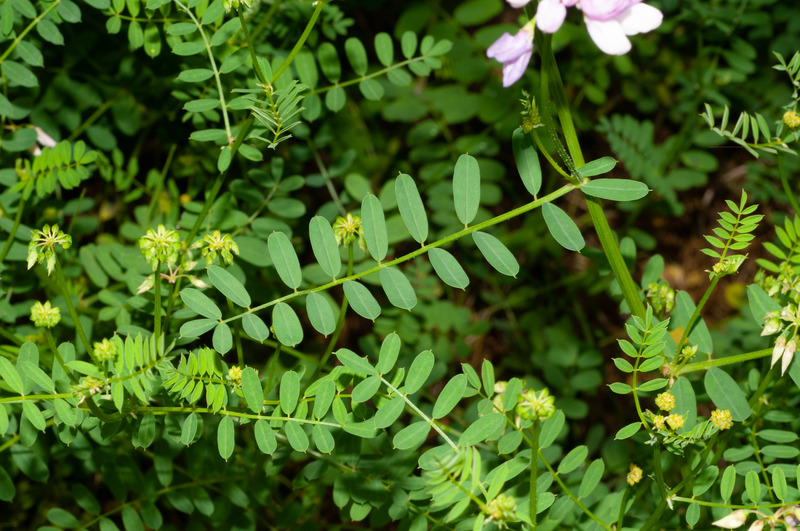 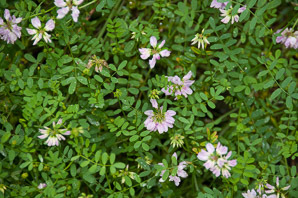 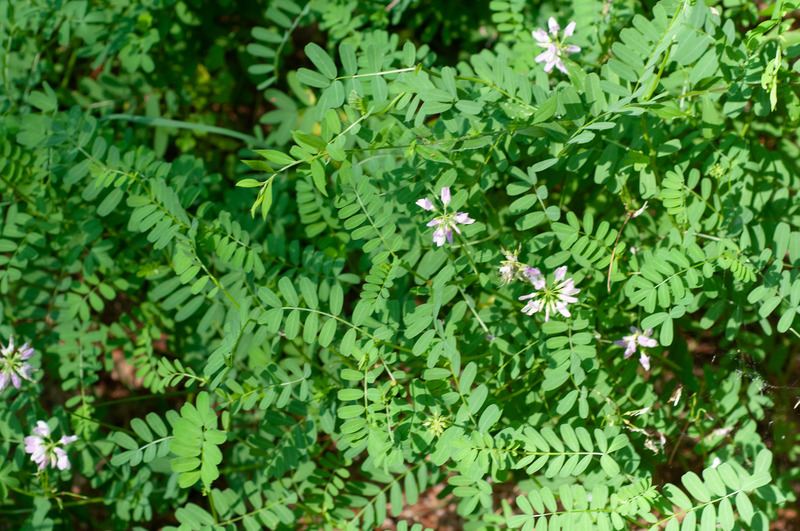 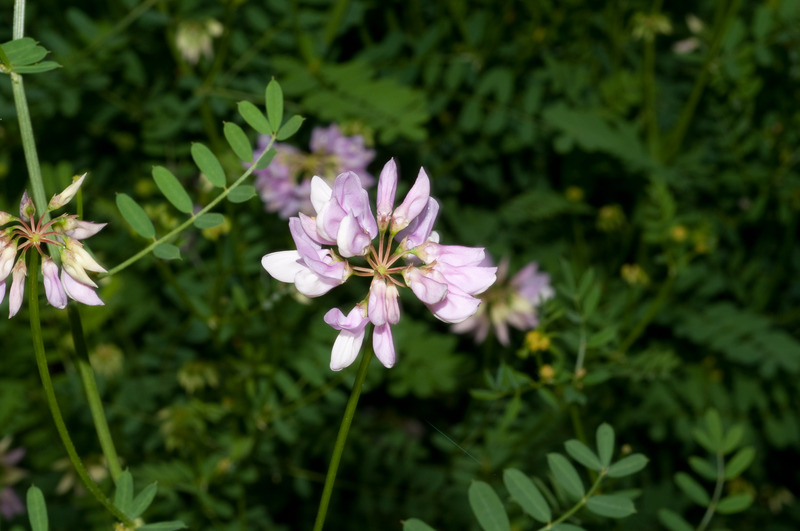 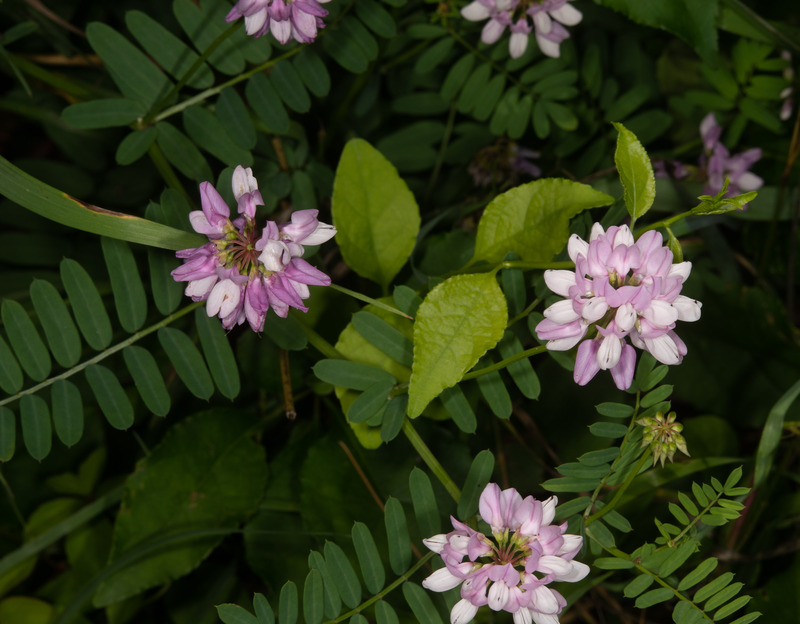 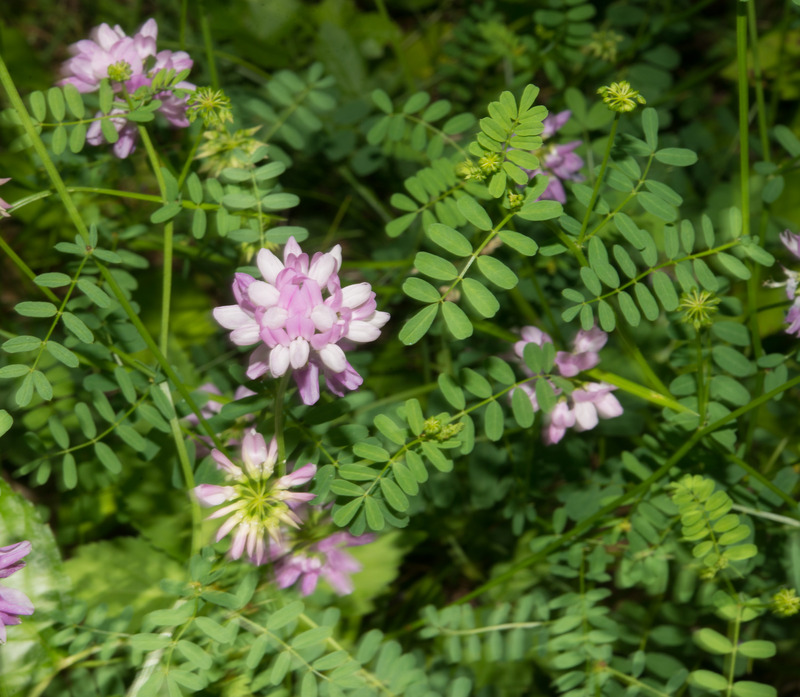 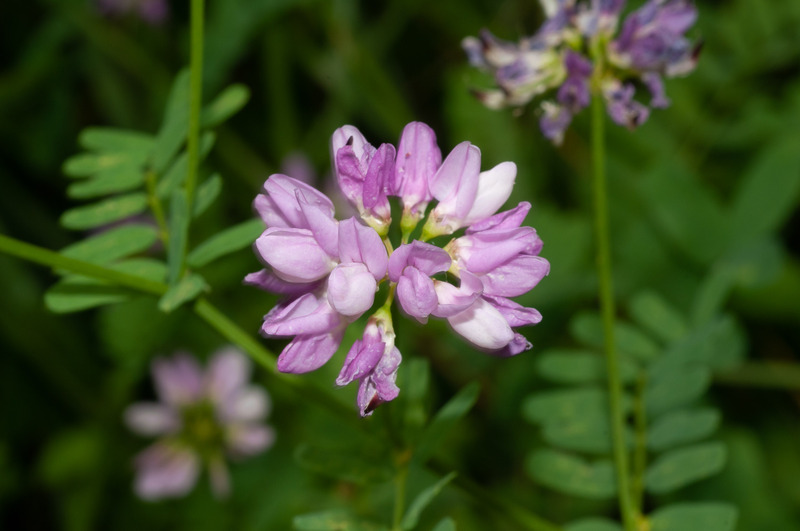 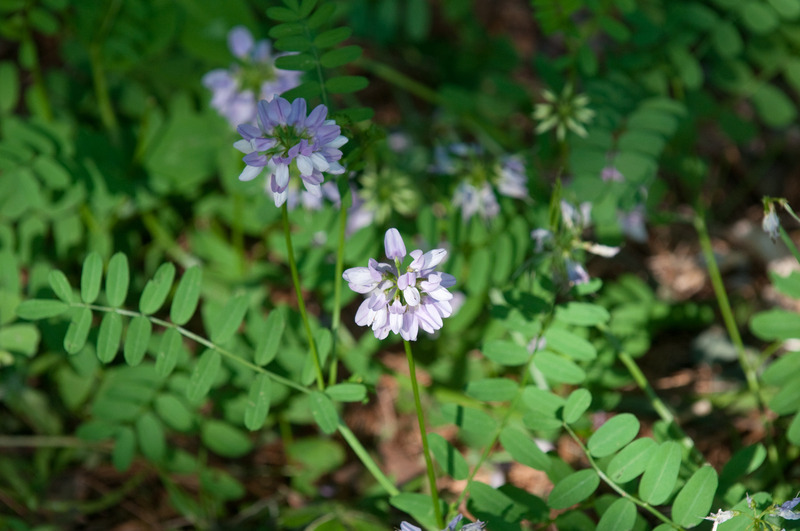 Crown vetch is native to Africa, Asia, and Europe, and is now naturalized in North America. 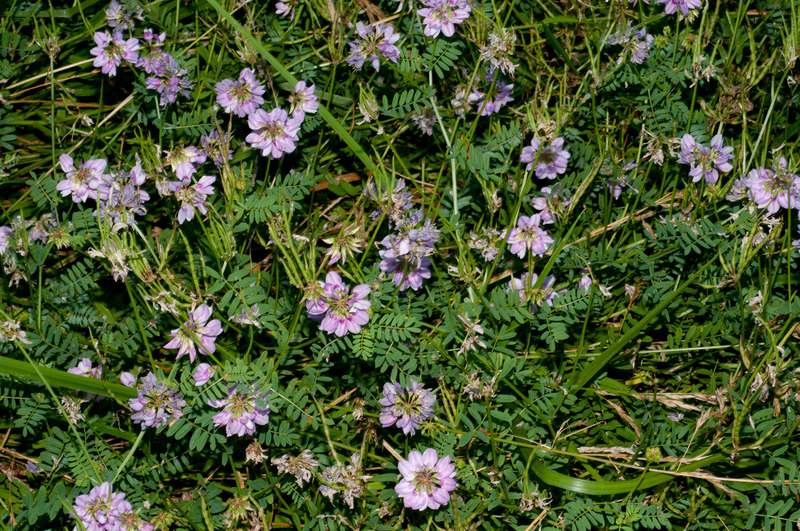 It is often planted on slopes to limit erosion, although studies suggest that it isn’t especially successful at this. 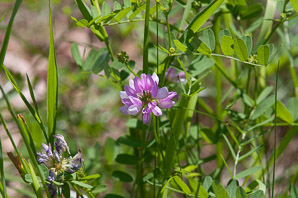 In some areas crown vetch is invasive, overcoming native grassland prairies. 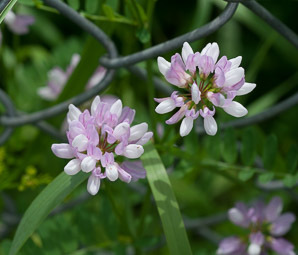 In appears on roadsides, abandoned fields, and forest edges. 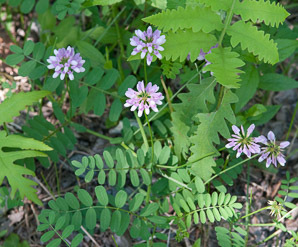 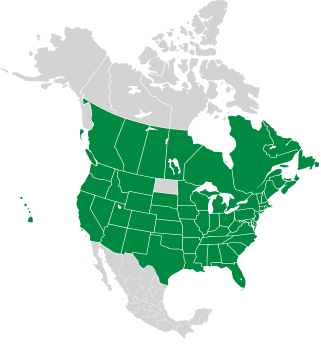 Plants: Plants are perennial vines that form dense mats. 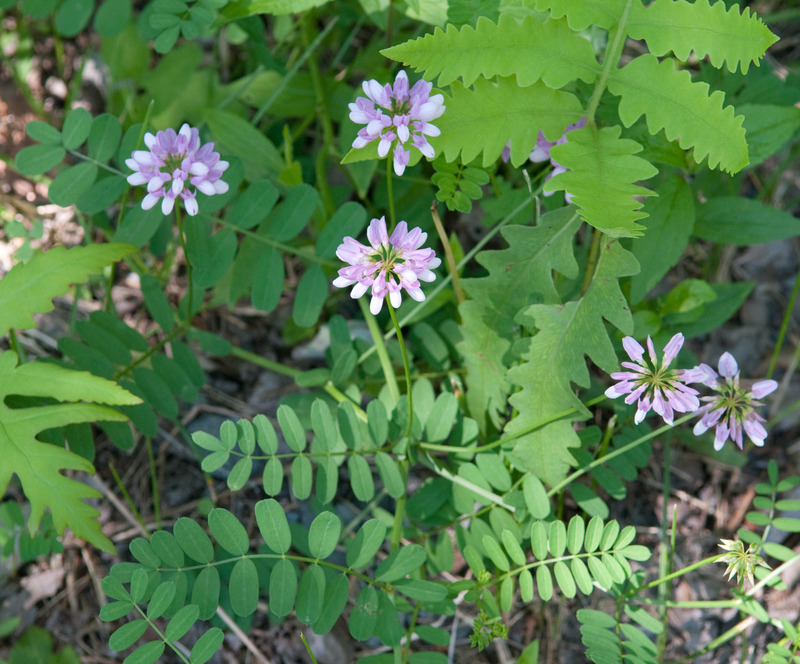 Plants are up to 12" (30 cm) in height, sometimes much higher when they climb over other plants. 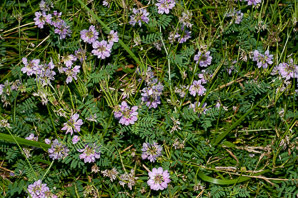 Stems are angular and mostly hairless, 12-79" (30-200 cm) long. 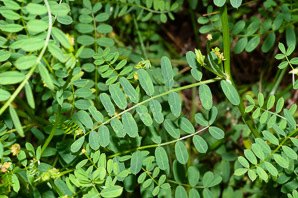 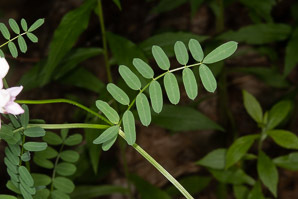 Leaves: Leaves are alternate, 1½-6" (4-16 cm) long. Each leaf is odd pinnate, comprised of 7-25 leaflets that end abruptly in a short, stiff point. 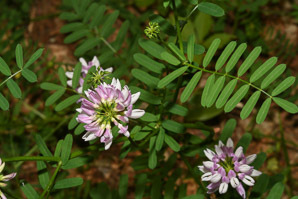 The leaflets are sessile and oblong to ovate. Fruits: The fruits are legumes—beanlike seed pods—with 3-12 segments, ¾-3" (2-8 cm) long. Each segment contains a single brown seed. 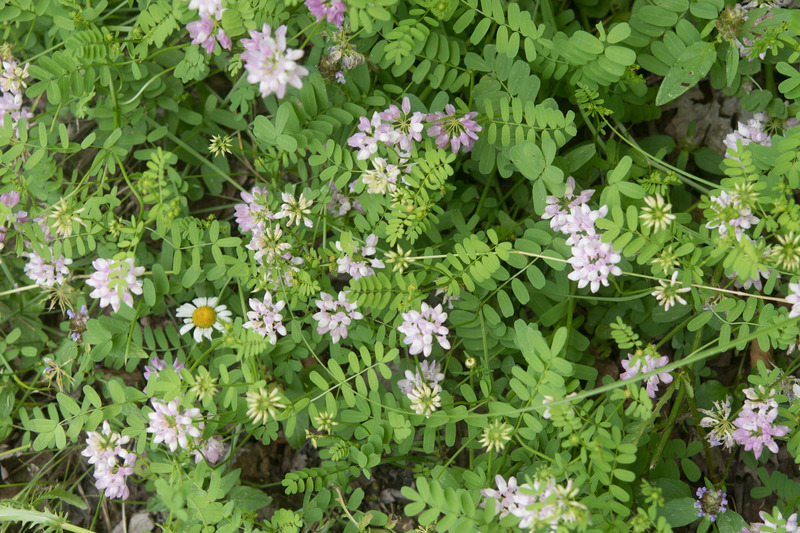 Edibility: Not edible for people. 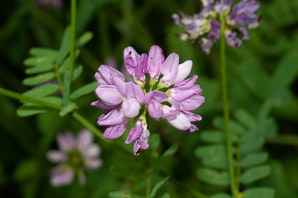 Some animals eat crown vetch. 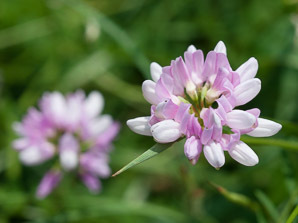 It can be toxic to horses in large quantities. 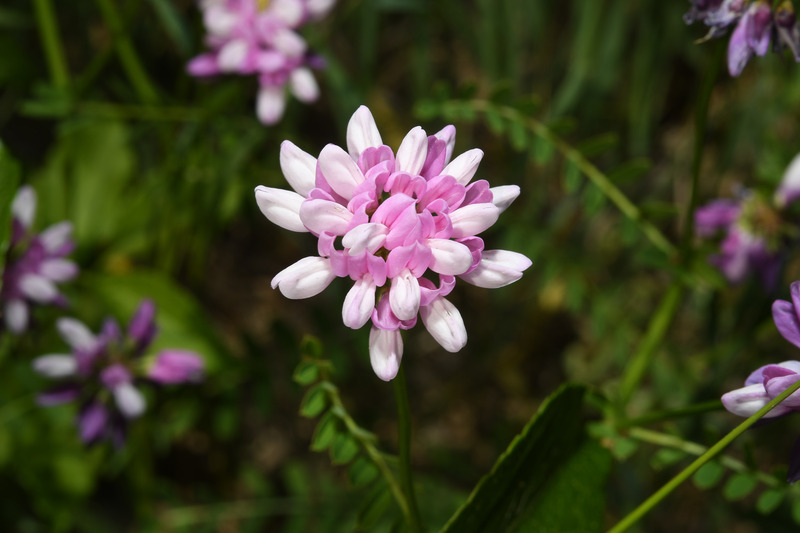 Securigera varia description by Thomas H. Kent, last updated 12 Oct 2018.